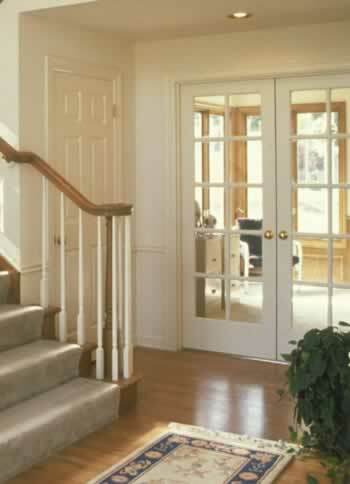 As you can see in the photo, pocket doors are a unique type of door which easily slides into a wall cavity. These very practical doors come in many different styles. They are very popular because they use very little space. For small rooms where a traditional swinging door would require too much room, a pocket door is the perfect alternative. 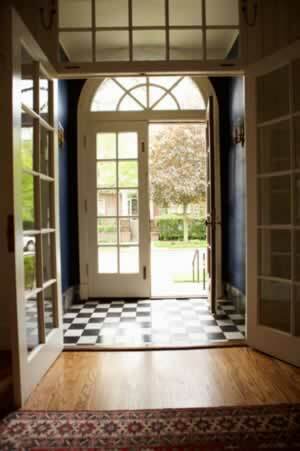 Rooms which are often perfect for this type of door include pantries, laundry rooms, bathrooms, and small bedrooms. 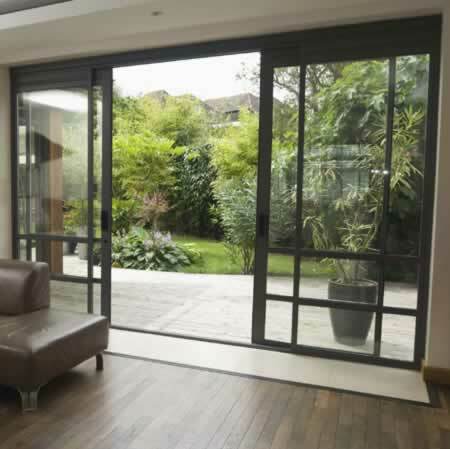 These doors are often made of vinyl which is particularly nice in terms of minimal maintenance and cost. They can fit anyone's budget. These doors come in a wide range of colors which when selected carefully go well with the interior of the house and give a stylish look. 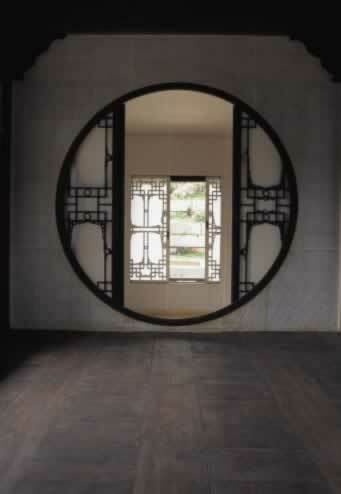 There are also pocket doors made of wood and glass. A glass pocket door gives sophistication to interior decor. 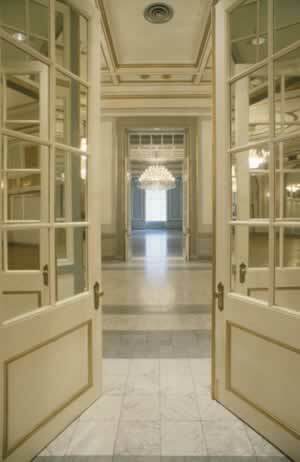 Pocket doors are available in many different sizes.